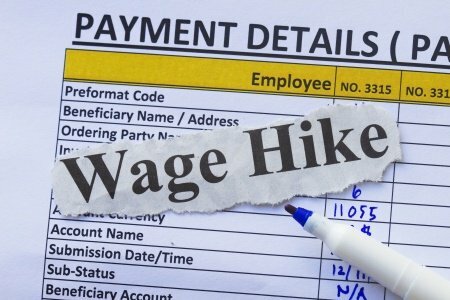 MANILA -- Some four regional wage boards are expected to issue their respective salary adjustments for workers in the private sector next month, a Department of Labor and Employment (DOLE) official said Thursday. In a press briefing, Labor Undersecretary Ciriaco Lagunzad III said these are the Regional Tripartite Wages and Productivity Board (RTWPB) of Region 2 (Cagayan Valley); Region 4-B (Mimaropa); Region 10 (Northern Mindanao); and the National Capital Region (NCR). “Mauuna ‘yung Region 10 at Region 2 and then Region 4-B. Malamang huli yung NCR, ” Lagunzad said. He said RTWPB-NCR will meet on Oct. 5 to discuss the timeline of issuance of a wage order. deliberations right after. If there will be a decision, it will be published and the wage order will be effective 15 days from the time of the decision," Lagunzad added. "If you are looking at Oct. 8 as the day of the decision, then you count 15 days. But you have to be mindful of the anniversary of the wage order of NCR because, remember, the rule is the board cannot entertain any wage petition within the year from the time the last wage order was issued,” he added. He said Northern Mindanao has already completed its deliberation and the draft wage order has already been transmitted to the secretariat. “The central office would have to review the draft wage order to make sure all the provisions are in accordance with the guidelines. But once it is reviewed, we could (have) a wage order in Region 10 very soon. But I believe that will be the first wage order among those region boards, which have not yet issued a new wage order,” Lagunzad said. “In Region 2, there is already public consultation. It is ongoing. And the schedule of the public hearing is October 12. So again after the public hearing, there will be a deliberation. And once a decision is made, the wage order can be effective 15 days after publication,” he added. As for Mimaropa, Lagunzad said the public hearing is already completed.